Booking a room in the WSE 2014 hotel block allows you to take advantage of pre-negotiated reduced room rates. A wide range of rooms, including standard, doubles and suites have been reserved. All official WSE 2014 activities including educational sessions, welcome reception, poster and video sessions, satellite events and exhibit hall are located at the host hotel (InterContinental Hotel). WSE advises all attendees to book housing at the host hotel if possible. 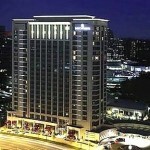 The InterContinental Buckhead sets new standards of quality with international flair and southern hospitality. The hotel on Peachtree Road puts you close to Buckhead’s thriving business and shopping districts and provides easy access to Atlanta attractions. To reserve your room, please call 404-946-9191 or 877-422-8254 and reference “World Symposium on Endometriosis” for a discounted rate of $179.00 (plus taxes) for a Deluxe Guest Room. The rate is guaranteed until March 5, 2014 to March 11, 2014. You may also book your hotel reservation online by clicking here and reference the group code D5D for discounted rates. The hotel will extend the group rate three days pre and post conference dates based on availability. If you would like to extend your stay beyond the meeting dates, please contact the reservations department via phone. Please note that a limited number of rooms are available at this discounted rate. Book your hotel room soon!